Defining VOCs: What Are Volatile Organic Compounds? Volatile Organic Compounds, or VOCs, are common chemical compounds that evaporate under normal, indoor atmospheric conditions, compromising air quality in the home. Smell fresh paint? You may not know it, but you are actually inhaling chemical matter. 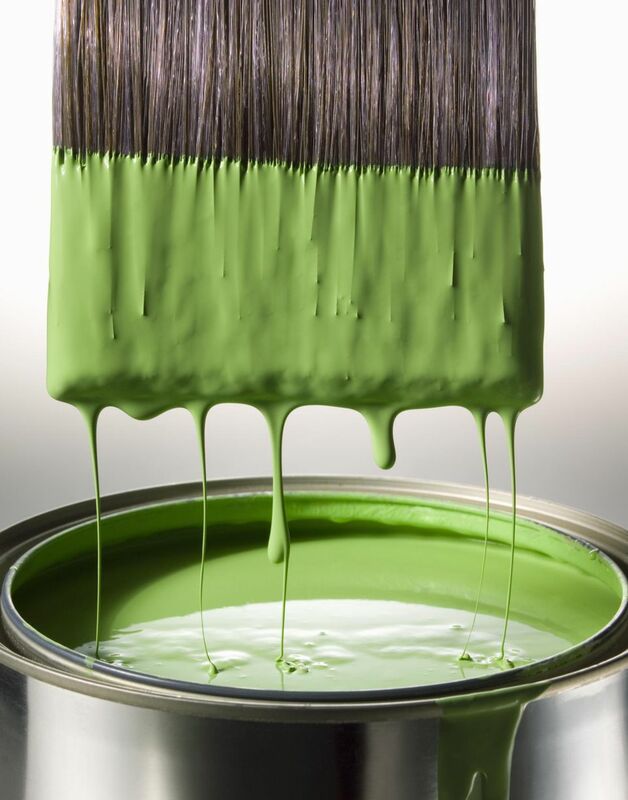 Paint is full of nasty chemicals. As these chemicals evaporate, they create fumes. Just as water converts to steam under the appropriate conditions, chemical compounds can also convert to gas. But unlike water, chemicals do not always require extreme conditions to change form. Many chemicals can easily convert into noxious gasses in a comfortable, everyday environment like your nursery or living room. These chemicals are called VOCs, and they can be found in everything from your carpet to your baby’s mattress. Even toys and bedding items can harbor VOCs, which are often left over from the manufacturing process of common household items. These fume-emitting toxins dissipate with time, but it's a slow process. It can also be dangerous. While actively off-gassing, VOCs degrade indoor air quality, which could make you and your family sick. Young children, especially those suffering from asthma and allergies, are at particular risk, making a VOC-free environment a growing priority for many parents. Wondering how to reduce your little one’s exposure to VOCs? The nursery is an excellent place to start! Here are a few tips for reducing the risk of chemical off-gassing in your baby’s room. The earlier you start your nursery project the better. The majority of VOC off-gassing takes place within the first six months to a year after production. Getting an early start can significantly reduce your baby’s exposure. Painting the nursery? Opt for a “low-VOC” or "VOC-free" paint. These eco-friendly alternatives replace chemical-laden, oil-based solvents with a water-based formula, greatly reducing the environmental impact. "VOC-free" paints take the process one step further, removing unstable, airborne toxins from their pigment formulas as well, making for a much safer product. Still, while VOC-free paints are a step in the right direction, they are far from chemical-free. Always ensure adequate ventilation when using paint or chemical-based products of any kind. Painting while pregnant? Be sure to follow these nine important rules. When it comes to chemical off-gassing, flooring is a prime culprit. If your current flooring is more than a year old, many of the VOCs will have dissipated already. If you’re starting new, try one of these organic flooring options. Whenever possible, choose organic products for your nursery and your home. Because they are produced without the aid of chemicals, organic products have no chemical residue and do not produce dangerous fumes. Can’t afford it to buy all organic? Make an organic mattress your first priority. Can't afford to buy organic everything? Buying used is also a great way to reduce your baby's exposure to VOCs. Chemical off-gassing is at it's worst in the first year of a product's life. The older the product, the less likely it is to contain harmful chemicals. That said, be careful what you buy. Some things, like toys and anything made from chemical-pressed particle board, are best bought used, but used cribs and crib mattresses are generally not a good idea. Dated cribs may not meet modern safety standards, and used mattresses - even those that appear to be in good condition - may harbor deadly secrets. Antique furniture may also contain lead paint, which could make your baby very sick. Use good judgment, and make sure that whatever you do buy is whole and in good repair. Wash or wipe down new toys, furniture, and accessories, and allow plenty of time for these items to air out in a well-ventilated space before introducing them to your nursery environment. Don’t forget to use a chemical-free cleaner. For more ideas on how to create a healthy space for your little one, check out these 7 Simple Tips for Designing a “Green” Nursery.